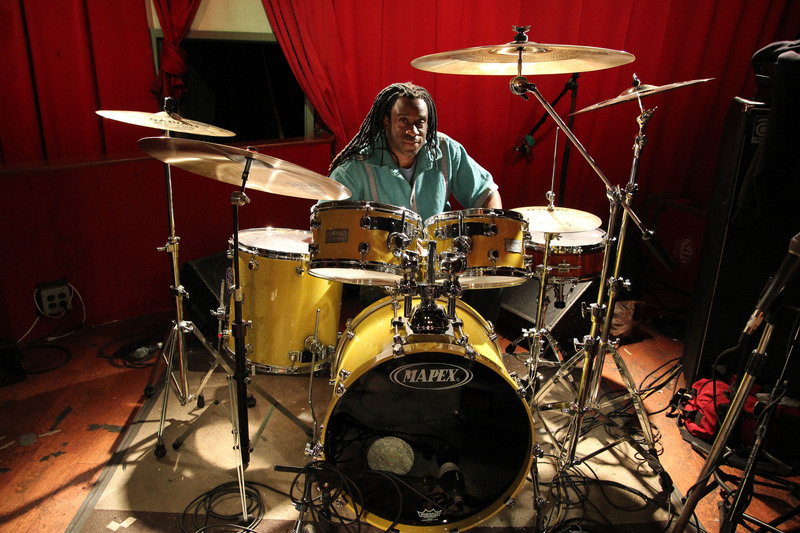 I last caught up with Will Calhoun, the Grammy-winning drummer from Living Colour at Sullivan Hall in May, where he was playing a rock ‘n roll gig with Bernard Fowler, featuring Doug Wimbish and Eric Gales. 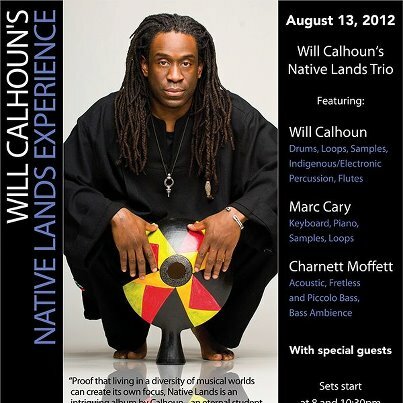 Calhoun is in the midst of recording his latest Jazz CD, slated for a 2013 release on Motema Records, which will feature Ron Carter and Donald Harrison. He’s back in New York after performing on the European Tour of the enchanting Malian songstress Oumou Sangare and banjoist Béla Fleck. “I love performing with Oumou and Béla, whose collaboration is a brilliant combination of traditional Malian music and traditional folk music,” said Calhoun. Not many artists have the vision and artistic energy to be Grammy winners and contribute to so many genres – jazz, rock, hip-hop, ambient, and more – while concurrently producing, touring, creating new projects, working on films, and continually pushing the envelope. Will Calhoun has this creative vision, and he is doing an extraordinary job keeping music a spiritual and motivating force in his life. In addition to his work with landmark fusion rock band Living Colour, Calhoun has recorded and/or performed with a diverse array of artists, including B.B. King, Mick Jagger, Jaco Pastorious, Harry Belafonte, Pharoah Sanders, Jack DeJohnette, Paul Simon, Lou Reed, Marcus Miller, Dr. John, Carly Simon, Herb Alpert,Rolling Stones guitarist Ron Wood, Wayne Shorter (on the 1995 Grammy-winning CD High Life), Steve Vai, Joe Satriani, The Allman Brothers, and more. As a producer, player, and songwriter, he has also worked on Herb Alpert’s Grammy-nominated album Colors (1999), and Mos Def’s The New Danger (2004). 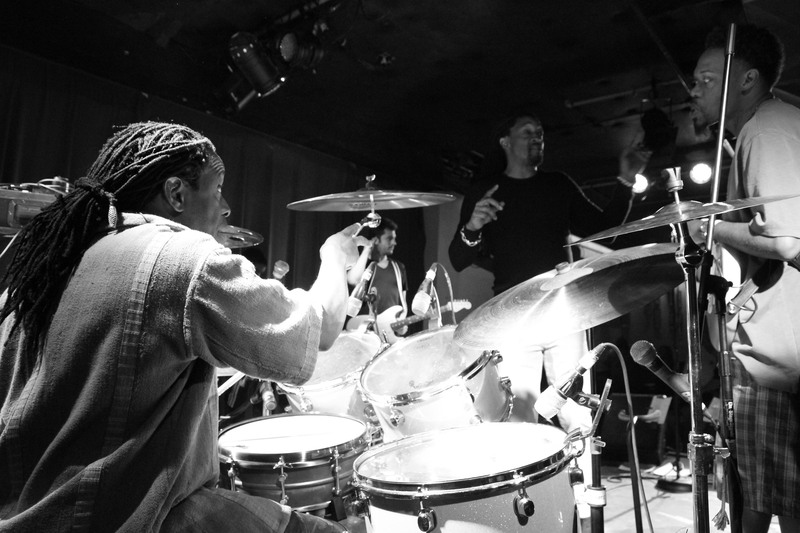 After releasing several solo drum/electronic albums and forming the groundbreaking band Jungle Funk with Doug Wimbish and Vinx in the late ’90s, Calhoun released his first solo jazz CD in 2000, titled The Will Calhoun Quintet: Live at the Blue Note. The disc garnered a Grammy nomination. 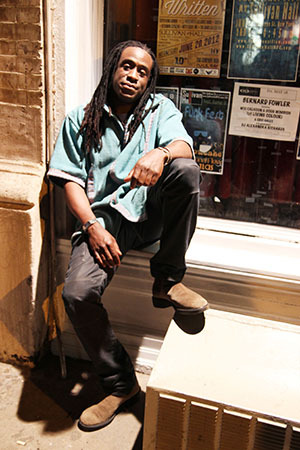 His latest release, Native Lands (2005), is his follow-up release on Half Note Records, the Blue Note’s in-house record label. Native Lands can be described as jazz meets world music, coupled with trance-inducing urban music. This dual disc (CD/DVD) combines Calhoun’s experiences as he marries his far-reaching interests in a genre-bending collection that taps key expressionists from various backgrounds. Among those contributing are Pharaoh Sanders, Mos Def, Buster Williams, Stanley Jordan, Kevin Eubanks, Marcus Miller and Wallace Roney, as well as Nana Vasconcelos from Brazil and Cheick Tidiane Seck from Mali. 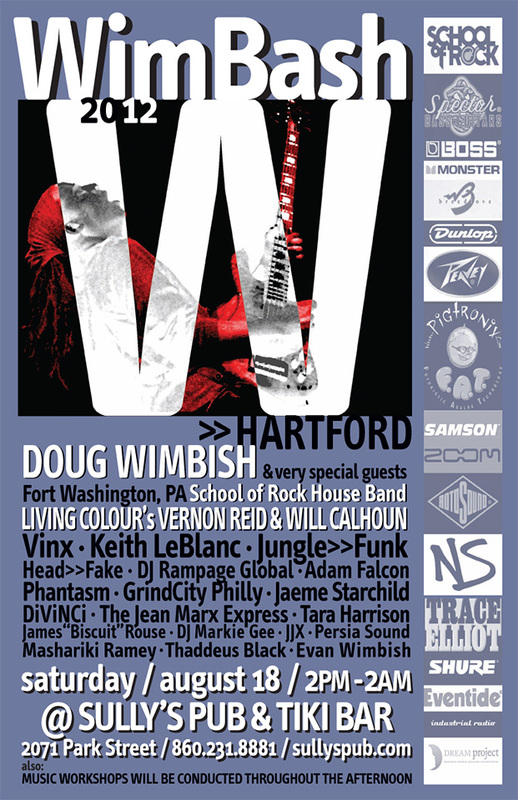 Throughout the month of August you can catch Calhoun performing at The Iridium, Jazzmobile Summerfest 2012, The Blue Note, Hudson Valley Jazz Festival, and Wimbash with a variety of different artists. Ronnie Laws w/ Frank McComb at The Iridium, 1650 Broadway in New York at 8pm and 10pm sets, featuring Will Calhoun on drums, Al McDowel on bass, Frank McComb vocals and Piano, Donald Blackman on Keys, Ronnie Laws on sax. 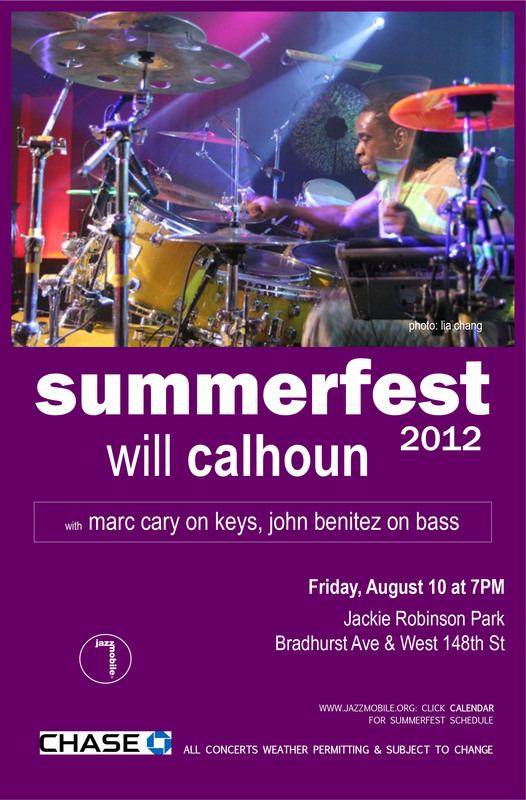 The Will Calhoun Trio will perform in the Jazzmobile Summerfest 2012 Concert in the Park at the Jackie Robinson Park, Bradhurst Ave & West 148th St in New York at 7pm. Featuring Will Calhoun on Drums, Indigenous Percussion, Electronics, Samples, Flutes, Marc Carey on Keyboard, Piano, Samples, Loops, and John Benitez on Bass. 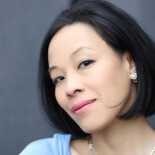 Will Calhoun’s Native Lands Trio will perform at 8pm and 10:30pm with a special guests Tibetan vocalist YungChen Lhamo and Wallace Roney, at the Blue Note Jazz Club, 131 W. 3rd St in New York. Featuring Will Calhoun on Drums, Indigenous Percussion, Electronics, Samples, Flutes, Marc Cary on Keyboard, Piano, Samples, Loops and Charnett Moffett on Bass. Check out the Coquito calendar page for additional details and to confirm times. Check out Sully’s Pub Website for additional details and to confirm times. This entry was posted on August 2, 2012 by Lia Chang in African American Artists, Entertainment, Music, New York, Performance Photography and tagged Backstage Pass with Lia Chang, Bela Fleck, Bernard Fowler, Buster Williams, Charnett Moffett, Cheick Tidiane Seck, Coquito, David Gilmore, Donald Harrison, Doug Wimbish, Earl Travis, Eric Gales, Frank McComb John Benitez, Grammy Award Winning, Hudson Valley Jazz Festival, Jazz, Jazzmobile, Jazzmobile Summerfest 2012, Kevin Eubanks, Lia Chang, Living Colour, Marc Cary, Marcus Miller, Mos Def, Motema Records, Nana Vasconcelos, New York, Oumou Sangare, Pharoah Sanders, Ron Carter, Ronnie Laws, Stanley Jordan, The Blue Note, The Iridium, Vernon Reid, Victor Bailey, Wallace Roney, Will Calhoun, Will Calhoun’s Native Lands Experience, Wimbash.